Well, it wouldn’t be the end of the year without the specials running all over the place. Everyone is looking to get back into the black in the last few days before the end of the year. So the question arises, why shouldn’t I.
I mean, I do need to fill in my taxes like every other honest citizen out there. I know I have a lot to show for on the expenses end, now I just want to balance it all out on the profit end to come out even at least this year. So I decided to have an end of the year special as well to celebrate. Call it a firesale or just a great deal. Anyway you look at it, you are going to be getting a good deal here. So what’s included you might ask? Well it is going to be a combination of things. Some will be digital, while some will be phyically sent to your door and others yet will be done over the phone, or even in person depending where you live. Enough already, no hype, just pure goodies up for grabs here: As long as this post is live you should be able to get in on the deal, so feel free to share this with your buddies and your list as well. If they tell me who referred them by emailing me or posting a note on the PayPal payment page, I’ll hook you up with a special bonus (sorry no formal affiliate program here currently). The more you send my way, the better the bonus to you…surprise, suprise! 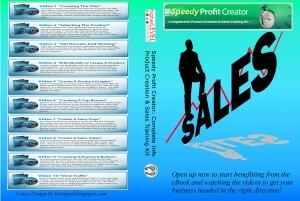 So for all 8 things above, the Speedy Profit Creator DVD, Butterfly Marketing Manuscript Physical Book, Powerlink/Viral Friend Generator DVD, 43 WordPress Tutorials, Sunday Freebie DVD, Lifetime access to the Weekly Improvement Membership, Text message coaching and the “Your pick” set up, you will pay just one low price at a fraction of that! Just $97….which is a massive 97 Percent discount off the $3000+ MSRP…heck it is going to cost me at a minimum, $25 just to print/process and ship the 3 DVD’s and Physical Book as well as merchant fees and special bonuses for those of you who refer others to the site. Then think of all the hours involved in the text messages over a year, as well as the time involved in putting up the Blog/social media profile etc., I might not meet my goal of getting in the black, but I will make you a better online marketer, which is my main goal, first and foremost. So go pick up YourReviewGuru’s End of the Year Special today. Your DVD’s and Book will ship out within a few days and I will be in touch in regards to the text message training, Your Pick and the Weekly Improvement details.